A multi-family property or a multi-dwelling unit is basically a classification of housing where multiple separate housing units for more than two families are contained within one building or several buildings within one complex. This means that units can be stacked on top of each other, or just next to each other - including co-housing projects. If you happen to own one of these complexes and are having trouble managing it, you can call our team of property managers at Long Beach Property Management, whose efficiency and proactiveness will work to your benefit, more if you own many units. 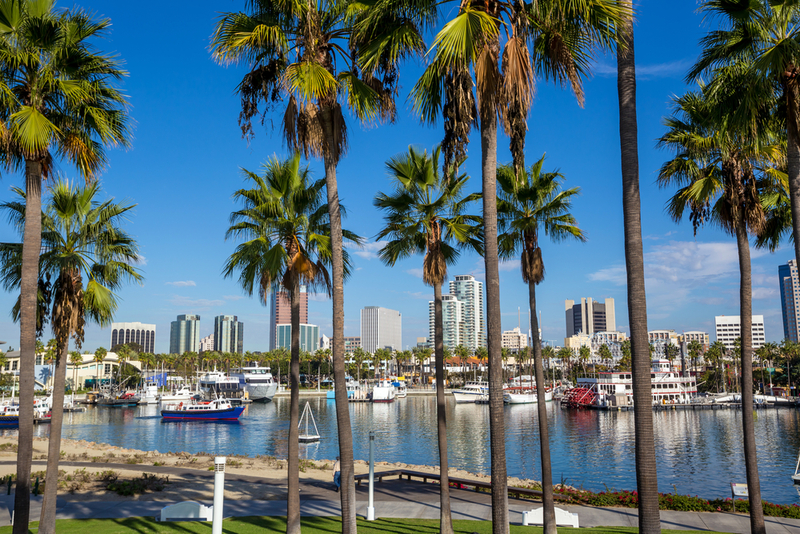 Long Beach Property Management provides skilled management of multi-family leasing communities for real estate owners and investors. Our experience has guided us through many years of work, during which we offered - and still do - high-value property management services. We have valuable expertise in rental property management for maximizing income, reducing expenses, and protecting your assets. We recognize that you’re in the business of making money, and don't want to see it as a personal battle. Our multi-family rental property management is effective, as well as the marketing of your multi-family community. If you hire us today, we assure you that we will provide a healthy return on your real estate investment. In most parts of the US, a duplex is two separate but single family units that are in one building, or on a single lot; it is commonly connected by a shared wall or floor and has separate entrances to the outside. This description often describes both a duplex house and a duplex apartment. There are three types of a duplex house a) Single Story b) Two Story: One Unit Up - One Down, and c) Two Story: Side-by-Side. A single story duplex is a bungalow type of house that has two units, built side-by-side. This type of house is favorable to families with young children and any elderly persons living with them. These type of house doesn’t have stairs. A two-story duplex has one unit up and one unit down, which helps to house a diverse field of occupants, and last but not the least, are the two-story a side by side type of duplex. It is a two-level building that shares a common wall on either side. One of the advantages of this type of building is the privacy and the shared proportion of the lot. The exact meaning of a triplex depends on which part of the country you are in, but mostly, a triplex is housing that provides living quarters for three families. A triplex is an apartment, and a two-bedroom triplex is a two bedroom apartment on three floors. A triplex apartment can be in a townhouse or a high rise. It is for a single family. A quadruplex is a multi-family house that is similar to the structure of a side-by-side duplex building. It is a multi-family structure that has more than one dwelling. It is separated by commonly shared walls, and you have the whole footed size to yourself, up and down. The private areas are also separated, and this type of home is most commonly seen in urban areas. This type of home is the perfect option for those people who are tired of the life of living in an apartment but can’t afford the monthly rental of a single-family house. Peace of mind is our main goal. If you own a property, we can take off your shoulders the weight of managing it. Property management at our Long Beach services is the support you’ve been looking for. As experts in rental services, we can help you see your rental property as a business, instead of becoming emotionally involved in the whole process. We implement consistent procedures that ensure the success of your business, as well as efficient and profitable results. Long Beach multi-family property management provides friendly customer services about complaints and issues related to any trouble or defects in the apartment or house that you are currently leasing. Your voice will always be heard because we appreciate every single suggestion that you might be proposing. Your concerns will never be met with indifference, and we will fix the matter at hand. All this while maintaining the value of your property. Our highly qualified property management professionals will take the frustrations of being a landlord off your hands. You’ll find our management fee usually pays for itself when we are able to increase your property’s income potential and cash flow, reduce maintenance expenses and protect you from legal and liability issues. You can count on us to secure the property you entrusted us with. Long Beach Property Management has your back by fulfilling your mission. We also document and update the condition of your multi-family property. We take pictures and do constant checklists’ of the house. Trust our team of quality property managers to carry a thorough inspection of your premises. Your home is a valuable asset, and we fully understand it. Seemingly low-priced services can often lead to poor results because there is not enough staffing at the management company to provide the level of service desired. That is not a problem at Long Beach Multi-family Property Management, as we pride the highest level of service to our clients through great teamwork and impeccable money management. Your multi-family rental will always be in good hands. To ensure the safety of our tenants and the owners, we always make sure that we keep the day-to-day transactions, contracts, and other legal documents that are signed or witnessed by the parties involved. We use new technology applications and our very own complex program so tenant and owners can keep up to date on payments or earnings and the property overall, as well as checking on announcements made by the property manager. Multi-family property management has never been this easy. Contact us today, and we can give you a free consultation without compromising your decision. We can also increase your Return on Investment (ROI), which is a performance measure used to evaluate the efficiency of an investment or to compare the efficiency of a number of different investments. The ROI directly measures the amount of return on a particular investment. Increased rents with better and professional advertising. Improved customer service for your tenants, vendors and you.